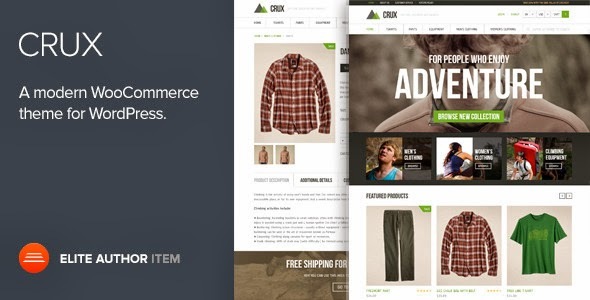 Crux is a clean, beautiful, fully responsive and retina ready WooCommerce WordPress Theme. Built on the top of StagFramework, Crux offers lightweight yet powerful functionality. It comes with Layerslider ($15 value) to help you make quick, beautiful and responsive sliders on the move. Item Reviewed: Crux - A modern and lightweight WooCommerce theme 9 out of 10 based on 10 ratings. 9 user reviews.